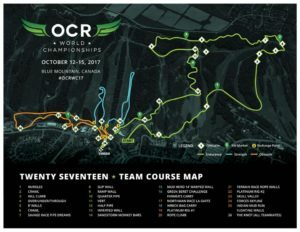 What are the Obstacle Course Racing World Championships (OCRWC)? They are an independent organization who hold a world class series of obstacle course races, for which one needs to qualify. Independent as in, they are not affiliated with any particular obstacle course racing organization, such as the Spartan Race, Tough Mudder, Warrior Dash, etc. Qualify as in, one needs to finish a qualifying race either in the top 5 overall (to race as a pro), to finish in the top 10-20 within their gendered age group (to race in their gendered age group), or to run any 4 races in a year beginning in Oct 01 of the preceding year (to race as a journeyman). In order for a race to be deemed a qualifying race, it has to be one that is timed and has to be on the list of criterion races. One of the ways in which OCRWC did such a good job of tying people from all over the world together, was not only did it have races from over 60 countries on its qualifying list of races, but since it is an independent organization, it can borrow the most challenging obstacles from all the other obstacle course race organizations, as well as build their own that no one has ever encountered before. This levels the playing field, in the sense that if someone is really good at one particular race organization’s set of obstacles, it does not necessarily mean they will be good with OCRWC’s obstacles. 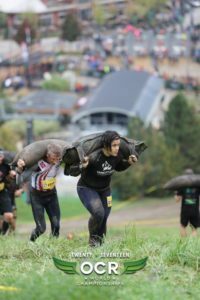 For me, it gave me a much broader insight into what types of obstacle course races are out there. For example, in Tough Mudder, obstacles can be skipped and you can help out other competitors on course. 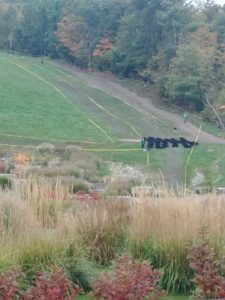 Cut bands at the Northman Race obstacle, La Gaffe du Draveur. During the 15K race, between 8am and 3:30pm. In the Spartan Race, if you cannot complete an obstacle, you must complete 30 burpees. In the Green Beret Challenge, you either complete all of the obstacles, or you do not complete the race. 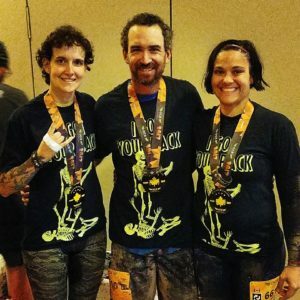 Of course, I could have learned about all of this on the internet or in discussion with my friends in the OCR community however, seeing a branded obstacle from a smaller race organization plants the seed of inquiry, because if I experienced it and I liked it, then I want to know more about that organization! 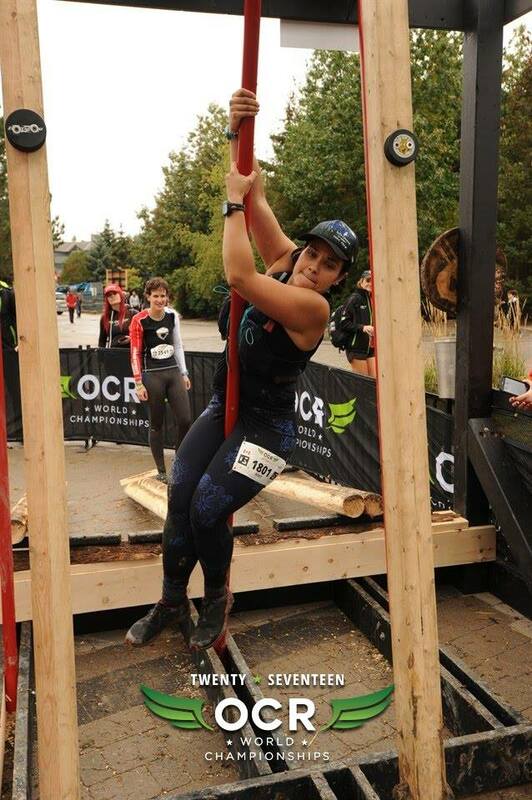 With OCRWC, there are no punishment burpees if one fails an obstacle, and the racer is allowed multiple attempts however, if they choose to not complete an obstacle, then their rubber race band is cut from their wrist and you incurred a time penalty specific to that obstacle. The race band is a way to signify that they completed all of the obstacles, akin to getting a perfect score in figure skating. The racer would also incur further time penalties for any other obstacles which followed that they chose not to complete. The Farmer’s Carry sand bags from the 15K & team relay races. 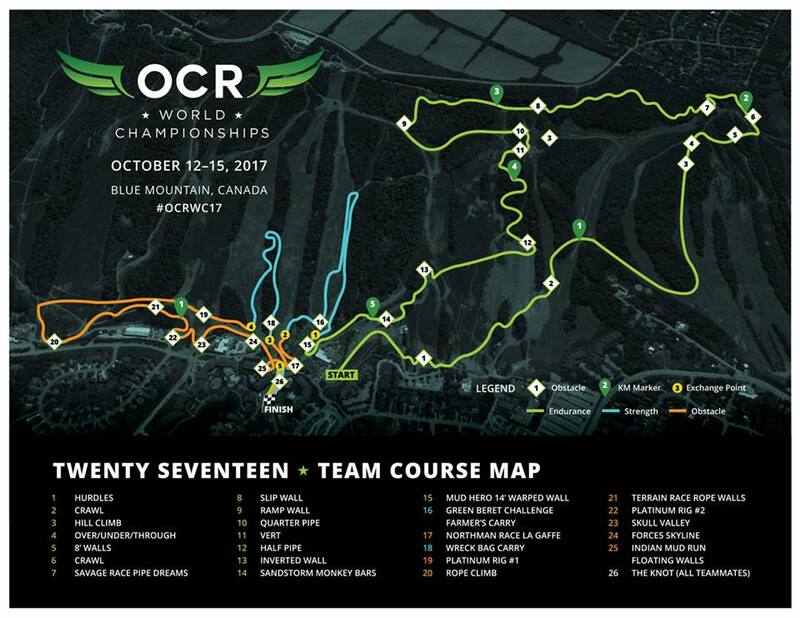 There were 4 race options for the OCRWC weekend: 3K, 15K, team relay, and Make A Wish – a race where proceeds are donated to charity. I entered the 3K race as a journeyman, and the team relay race. The team race allowed one to specify if they were a “specialist”, either in speed, strength, or technique. I signed up for the strength leg and created a team. 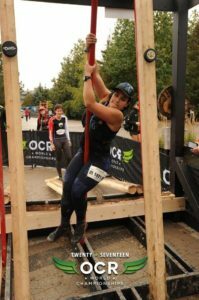 Since I knew that the obstacles would likely be the most challenging I have ever encountered and still being fairly green to obstacle course racing, I felt like I would not have been ready to do the 15K. Judging by how long it took me to complete the 3K, I made the right decision! I could have signed up for the Make A Wish race on site, but the conditions were extra slick. This was a result of a torrential downpour on a grass covered mountain for 3 days, chewed up by thousands of racers. I also didn’t really want another try on the obstacles. The 3K and 15K races had to be run as an individual; one could not be helped along the obstacles by the other racers. The team relay allowed help from teammates to complete the final obstacle, and Make A Wish allowed help from the other racers throughout all of the obstacles. I decided that I would volunteer at the 15K race, so that I could contribute to the event. I also failed La Gaffe! Even though I liked it! The 3K race was brutal for me. It humbled me. I needed that. It gave my training a new focus and direction. I had been working so hard this year to improve my strength, stamina, and nutrition. Next year, I need to work on my technical ability. I obviously felt that I had improved my technical ability, in improving my grip strength, in being able to do more monkey bars on playgrounds, but I still have much more to improve. In my mind before the race, I had made a 30% improvement in my upper body technique, but after the race, that felt more like a 5-10% improvement. That’s neither bad nor good, it’s just what it is. I cried after the race on my friend’s shoulder, because I was raw and tired. It was my first cry since my first Spartan Sprint last October (hmm…sensing a pattern, here). A cry of a string of endless frustration; not of sadness, failure, or defeat. The team relay race however, was a crowning glory. Being the strength specialist was simple in that, I only had 2 obstacles to complete: a farmer’s carry with two sandbags, and a Wreck Bag carry (one large log-shaped sandbag). Both of these required walking some distance with the bags, up a mud-covered mountain and then back down again. Carrying the Wreck Bag up a mountain during the team relay race. It was also challenging because the terrain was well chewed up and very slippery by Sunday morning, after having two races on the course already, and the distance covered was at least twice as long as it was during the 3K race. 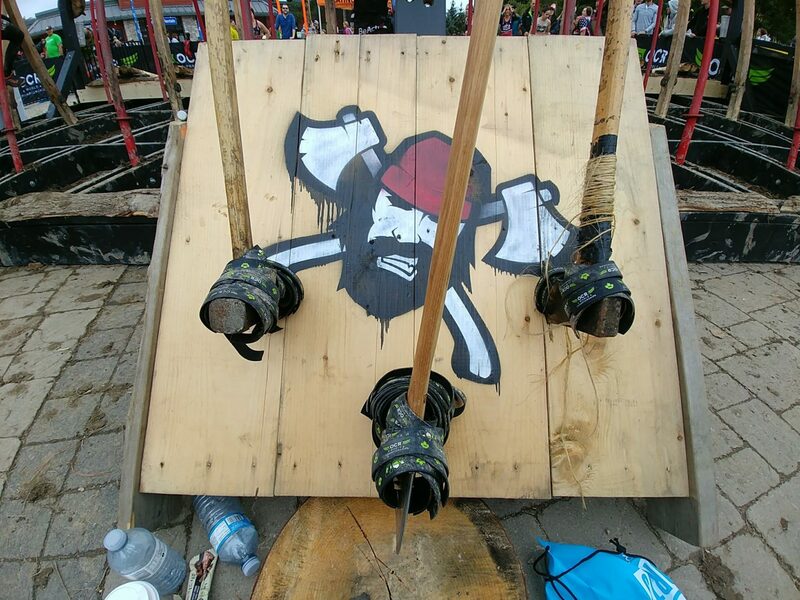 The speed specialist had 15 obstacles to complete, and the technique specialist had 8 obstacles to complete. They both also had considerably more distance to tire themselves over. It was an amazing feeling for the 3 of us to scale the wall just before the finish line together; it required strategy, cooperation, strength, and determination. Yet, being part of a team relay, all members of the team were required to exert themselves in order for the whole team to be successful. It was in this moment that I realized that I don’t enjoy racing alone. Happy Team Smartass. We kept our bands!! That’s not to say that I will never race alone, just that if possible to race with friends, I much prefer to race with friends, even if we do the obstacles alone! Oh, and we all completed all of our obstacles and kept our bands!! I want to complete more races and different types of races (Tough Mudder and Ragnar Trail relay). Meeting people from all over the world at this event and the energy was outstanding. This is the only sport I have ever felt “at home” with.